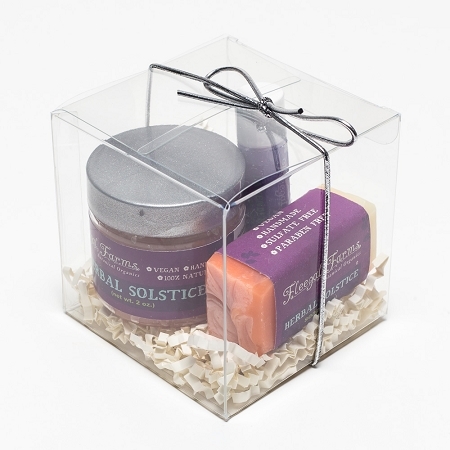 This adorable set gives the gift of sampling my 2 oz Herbal Solstice sugar scrub, mini Herbal Solstice Soap, and Lavender Lip Balm. All my products are made by my hands with pure essential oils, rain water and natural and organic botanical ingredients. 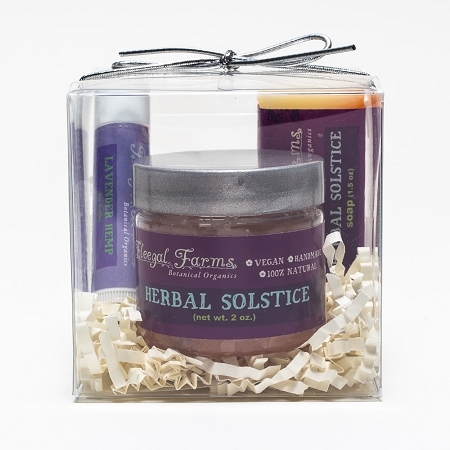 This blend is fresh and herbal Made with lavender, geranium, ylany-ylang, and lemongrass. Creates a spa like atmosphere in any bath or shower.